"We see very largely with the mind, and only partially with the eyes"
Both our eyes and our mind need periods of rest to function properly. Learn the Bates technique of palming and see the difference. Sunlight is very important for our bodies and optimal eyesight. Learn why ditching your sunglasses will help your vision. Our eyes can only see a small point perfectly clear. Learn why eye movement is key to clear central and expanded peripheral vision. 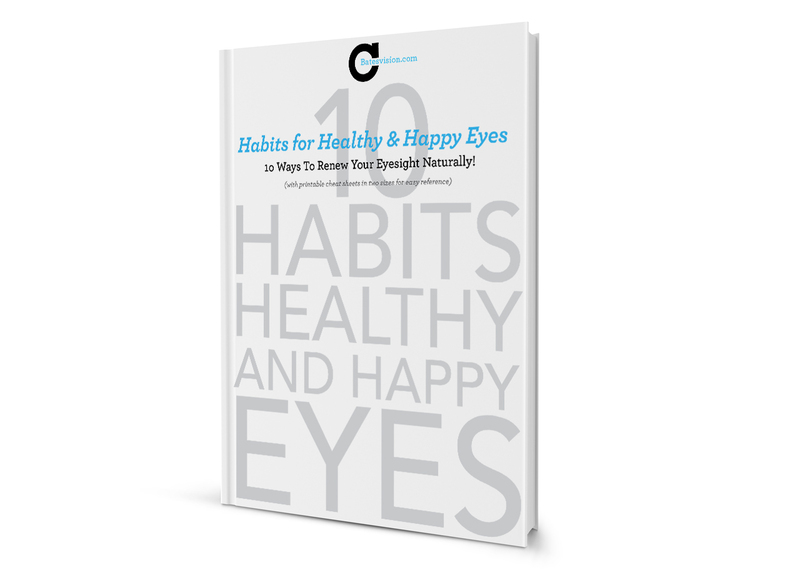 Download the FREE "Habits for Healthy and Happy Eyes"
Booklet to start seeing with more clarity immediately. By clicking 'Send Me The FREE Booklet', you agree that My Holistic Vision LLC can use your personal data. Please have a look at our Privacy and Cookie Policies for more information on how, why and where we use your data.